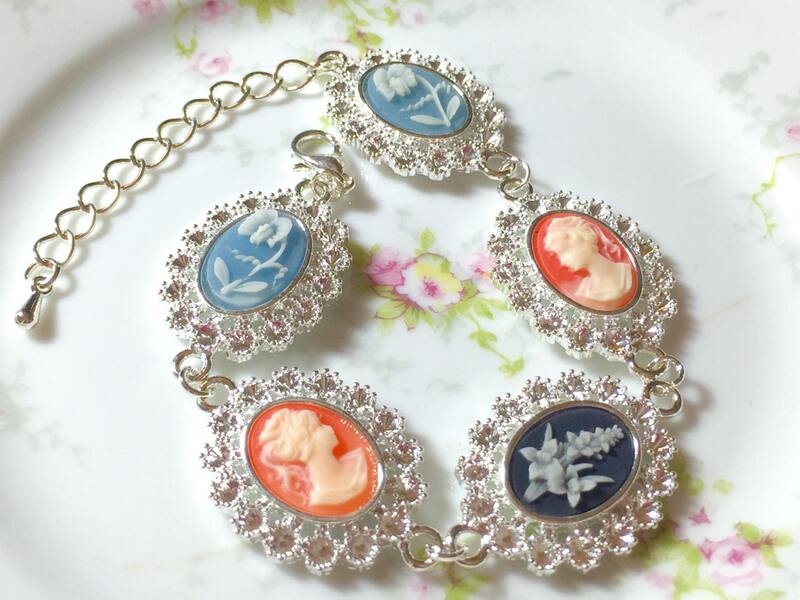 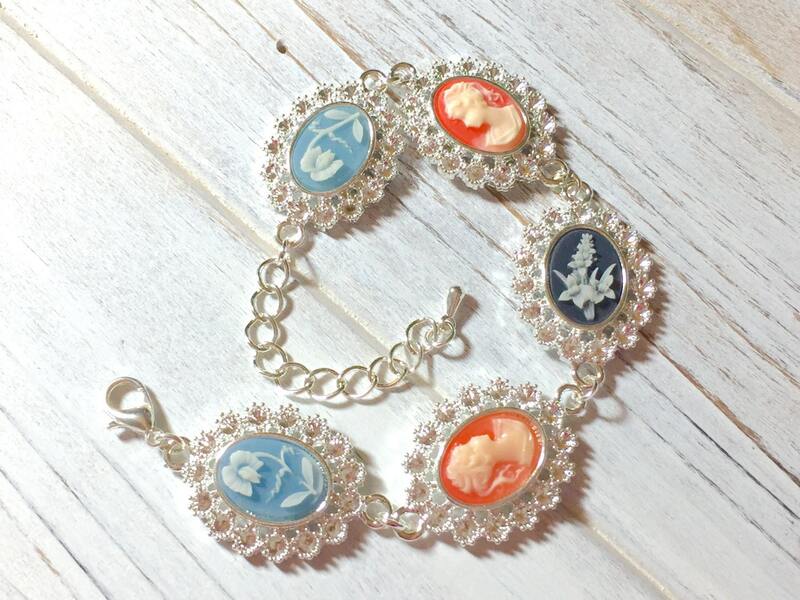 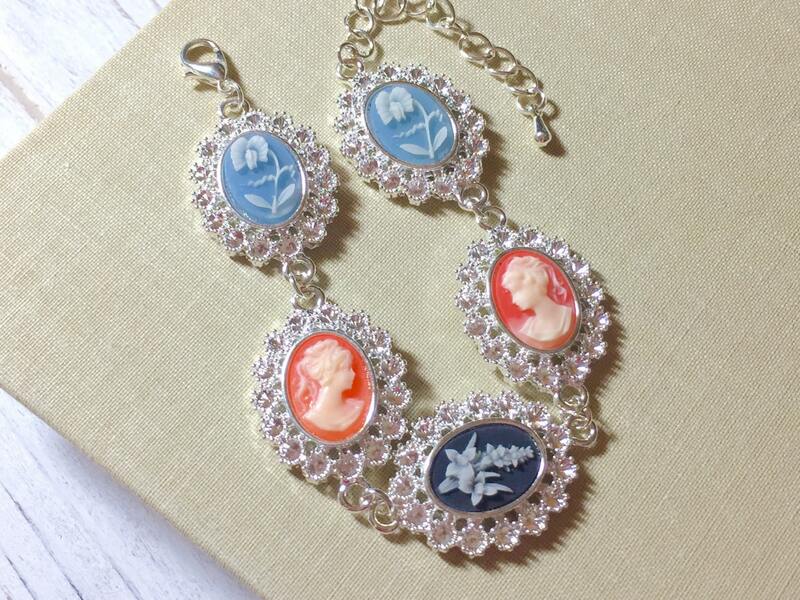 I made this delightful cameo bracelet by assembling a selection of gorgeous vintage cameos and delightful sparkling silver toned flower bordered settings. 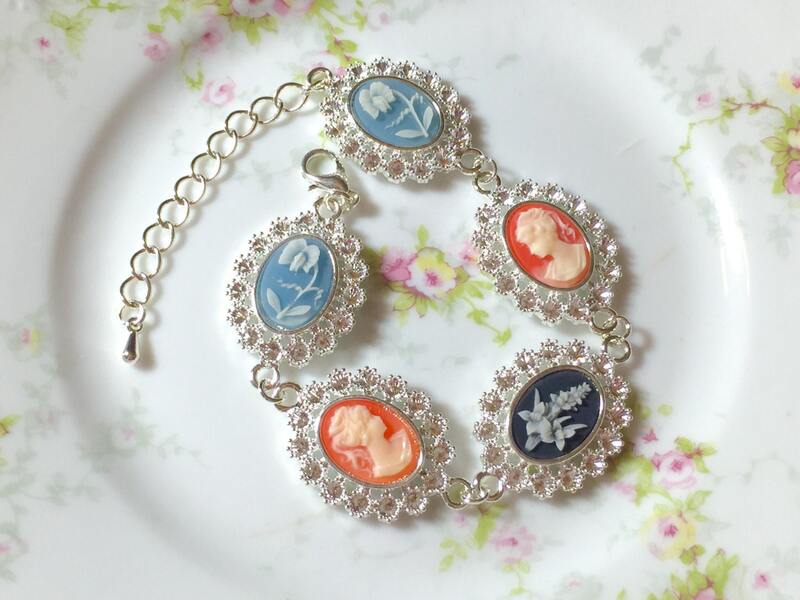 This lovely bracelet adjusts from about 7 inches to 8.5 inches (18cm to 21.6cm). 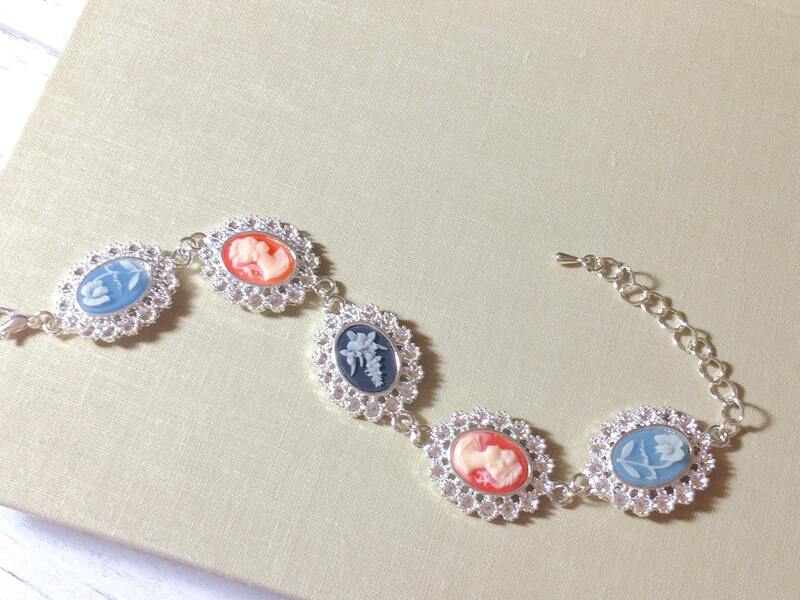 The sparkly silver tone settings are about 3/4 inches (2cm) wide.